In pursuit of both knowledge and delight, the craft of botanical illustration has always required not only meticulous draftsmanship but also a rigorous scientific understanding. 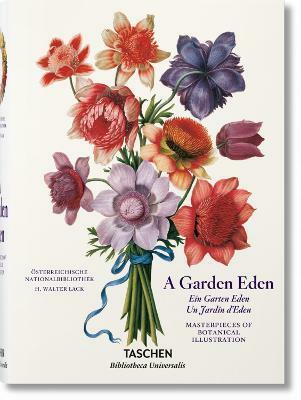 This new edition of a TASCHEN classic celebrates the botanical tradition and talents with a selection of outstanding works from the National Library of Vienna, including many new images. Illustrations note m. zahlr. Farbtaf. "Eine Marvellianische Welt der botanischen Wunder tut sich auf." "A Marvellian world of botanical delights unfurls."